Brain Injuries, also known as a traumatic brain injury is a blow or jolt to the head or a penetrating head injury that disrupts the function of the brain. Brain injuries can happen from sports, a car accident or general accident. Symptoms of a brain injury can be immediate or delayed. This can include blurry vision, confusion, and difficulty concentrating. If you have an infant, symptoms may include crying persistently or be irritable. There are an estimated 2.8 million people treated for traumatic brain injury or brain injuries in the United States each year. Children from 0-4 years and teenagers from 15-19 years are at the highest risk of brain injuries. • Males are twice as likely as females to sustain a traumatic brain injury. • Using a seatbelt when driving or helmet when playing a sport is the best way to avoid a brain injury. • A blow to one part of the brain can cause damage throughout the whole brain. • A concussion is a mild brain injury but can lead to a traumatic brain injury if not treated or monitored properly. Treatment for a traumatic brain injury can include seeing a specialist, medications, surgery, treatment plans. 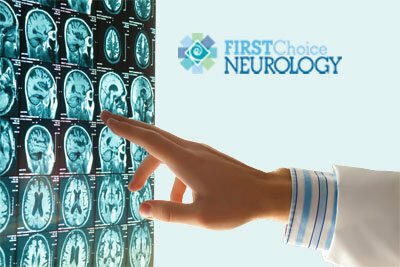 If you or a loved one is suffering from a traumatic brain injury, contact a Neurologist at First Choice Neurology today. We have several locations throughout Central, Eastern, and Southern Florida.